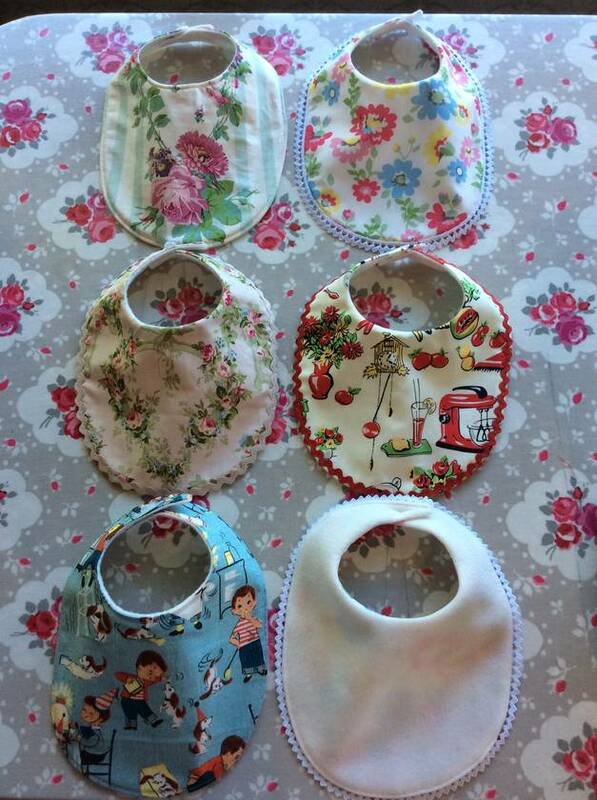 Bibs! 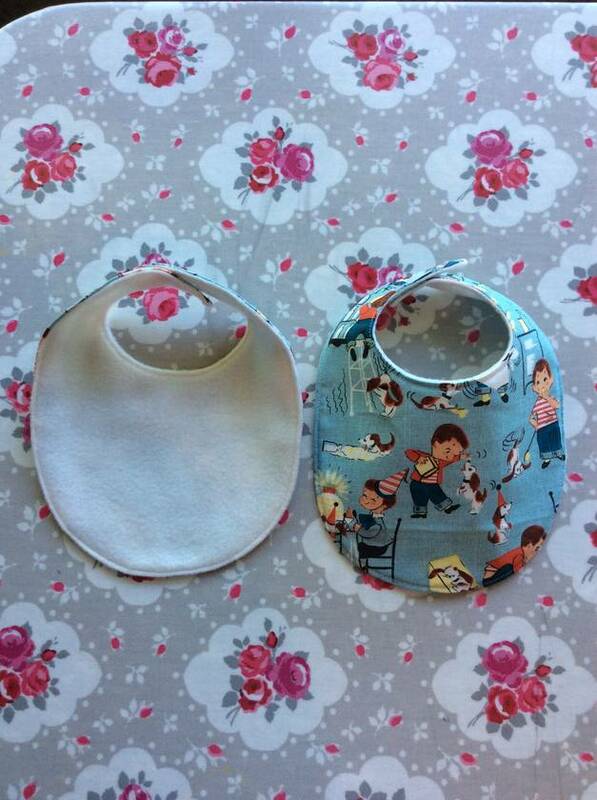 Bibs! 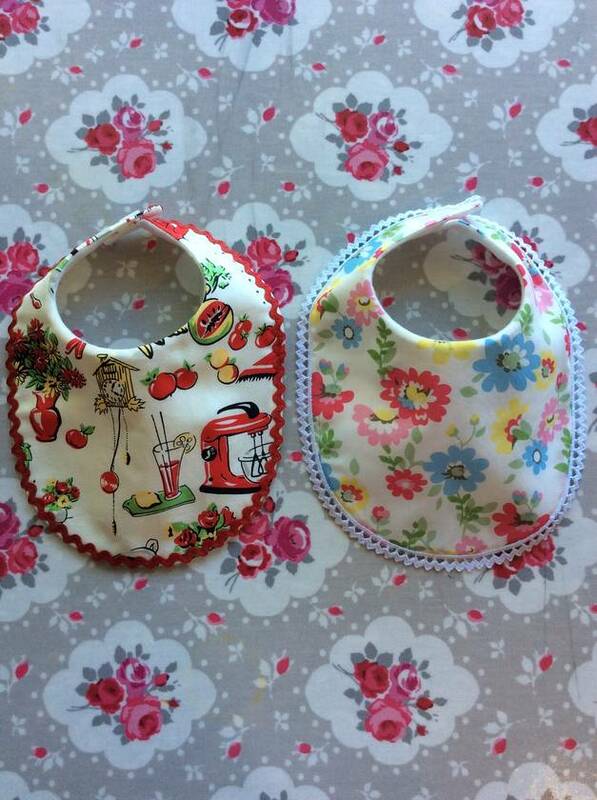 And more Bibs! Beautiful florals, edge with lace, back with polar fleece and fastens with a button. Suitable for a new born - 3 months. 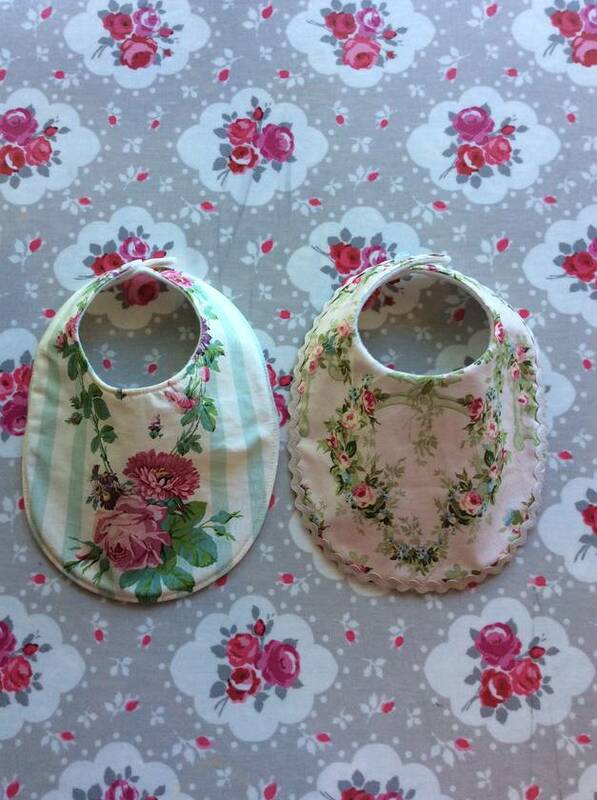 2 bibs available in each style photographed.